Happy 9th Birthday to my little Sadie Girl! Sometimes I can’t believe that sassy little baby I took care of is now a grown up 9 year old girl! You are still as independent as ever! (I think that is growing by the minute!) You are a great friend and you are oh so smart!! 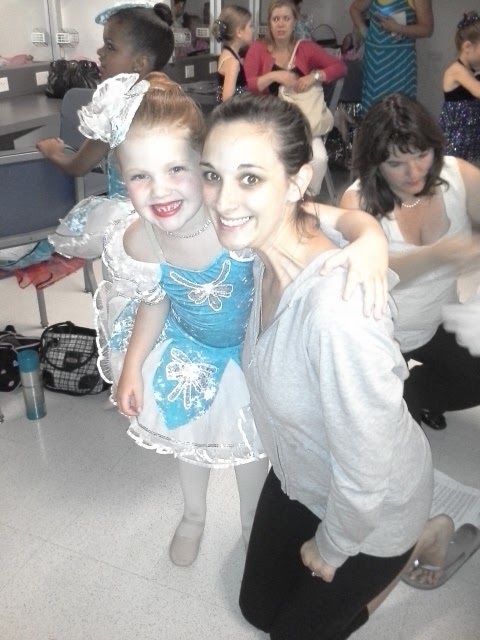 You always keep Mrs Kelly on her toes and are the most funny little girl I know! I still can’t get over how quickly you learn and you are always good at everything you try! Things just come naturally to you, and they always have! You have been such a special part of my life since you were a teeny! Now you have a new important role in my life because you have been like a big sister to my Hallie and she just adores you and looks up to you! Ms Kelly hopes you have a wonderful day! Love you so much little girl! I always am so excited for another holiday, because that means another photoshoot with our pal Larissa with Purple Moments Photography! 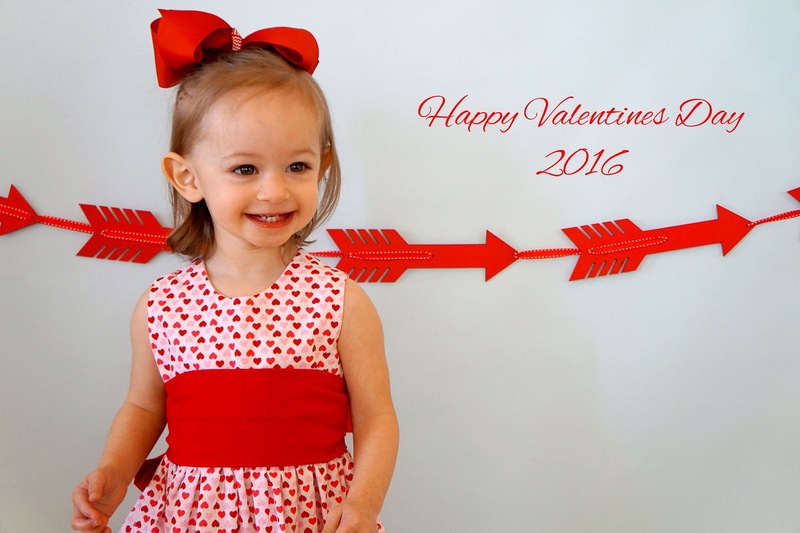 And she definitely didn’t disappoint with our Valentine Minis! Love how they turned out and this little hand made dress is just to die for! Happy Valentines Day Friends! We can’t wait to celebrate! That I will never have the answer to and will never understand. Once again my heart aches for a dear friend. A friend who has been on a rough journey. I do know that the journey is not yet done for you. God has a plan for you though it may be hard to see right now. I love you and know that God is looking over you and your family right now. I know nothing I say, or that anyone says can make you feel better today, but know that I am here to talk if you need me. It’s how I’m feeling today guys! TGIF for sure! If only I could get through ti Hallie when I tell her to let me sleep in tomorrow! Ha! Actually I have a lot to get done this weekend! Grocery shopping, some work on the house, and the Kohls by our house is closing and everything is like 70% off….so…. 1.We went to our Pal Bowen’s house on Monday to play (or as Hal calls him “Bone-en” like wings or something) and Hallie had a blast in Bo’s car…which he was not fond of! Then we took the kids to Chick fil a for some lunch and ice cream! So all week Hallie has been telling me: “Bone-en House, Car, Say Sorry, Ice Cream!” Haha! 2. Just Chilling Having a Ball at Nana’s House! 3. 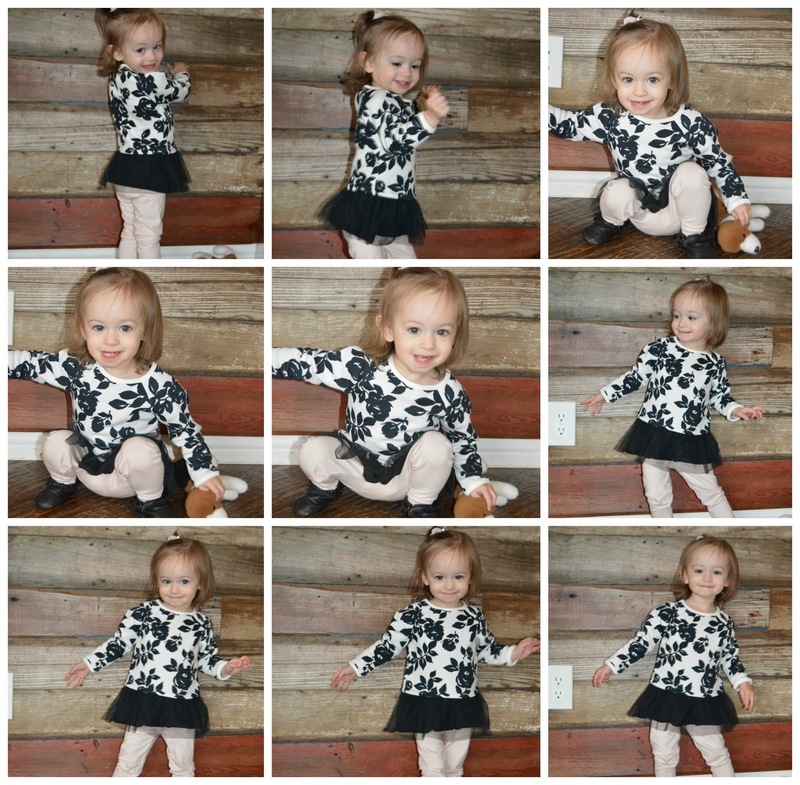 Too many photos to choose from for Wednesday because I took so many for the Day In The Life Post! But I do love this one with Cleo! I can’t get over how grown up my baby looks! 4. Another fave from Wednesday! 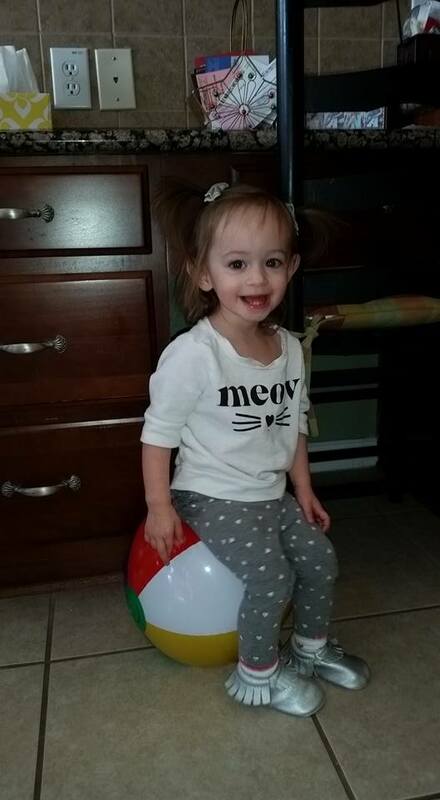 She is seriously getting too big! 5. This was yesterday and has me totally cracking up! How does she know to pose like that! Haha! We also finished off this outfit with a giant monogrammed bow my Dad bought for her and of course sparkly red No Place Like Home Moccs! Hi friends! 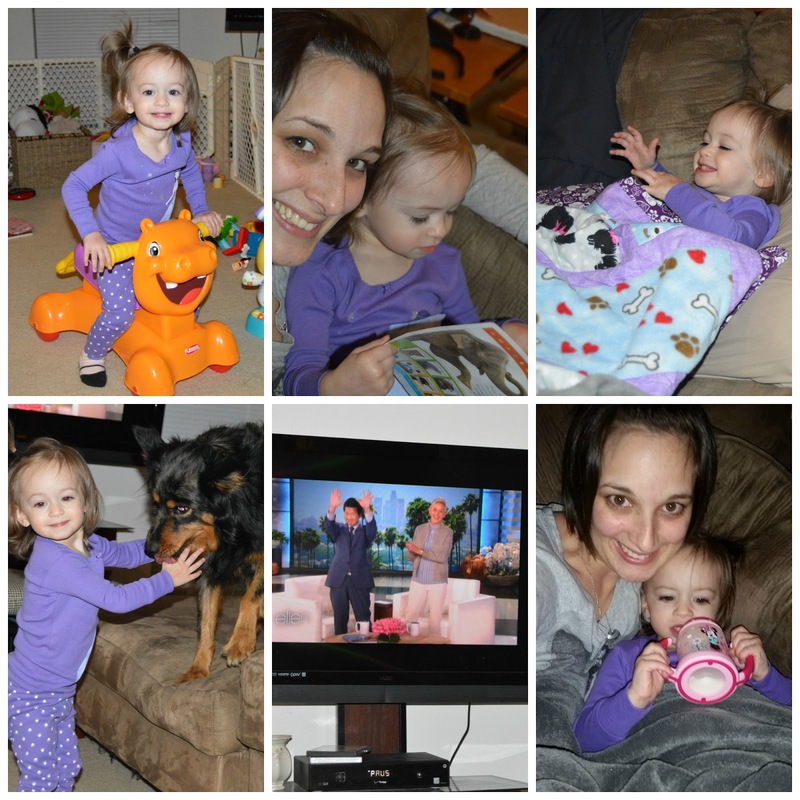 Today I am sharing what a typical day for me and Hallie looks like! It is crazy to me seeing how much has changed in one year. If you would like to go back and read our first DITL post, check it out here! I wake up just before 7:30 and Hallie is still asleep. I head to the kitchen to make a cup of coffee then open my laptop to get to work on the days blog. When I open my laptop I see a sweet surprise from the hubby. A Starbucks gift card! So sweet! 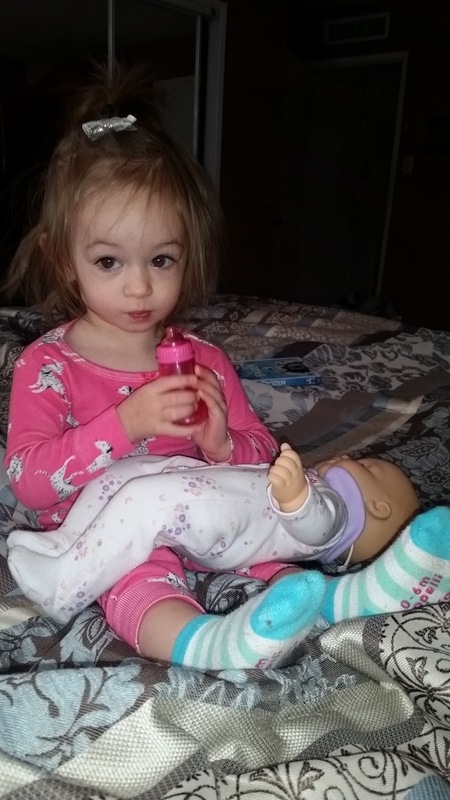 Hallie is up at 7:50! 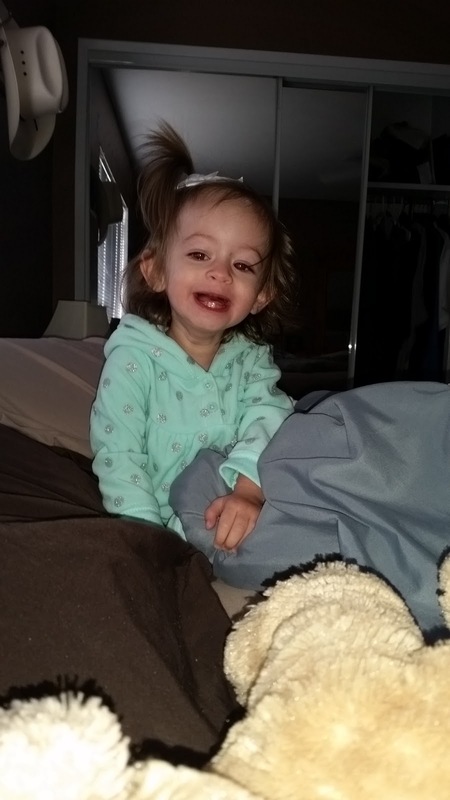 She wakes up happy saying “Momma!” Stella and I go in to great her…she is more excited to see Stella of course! 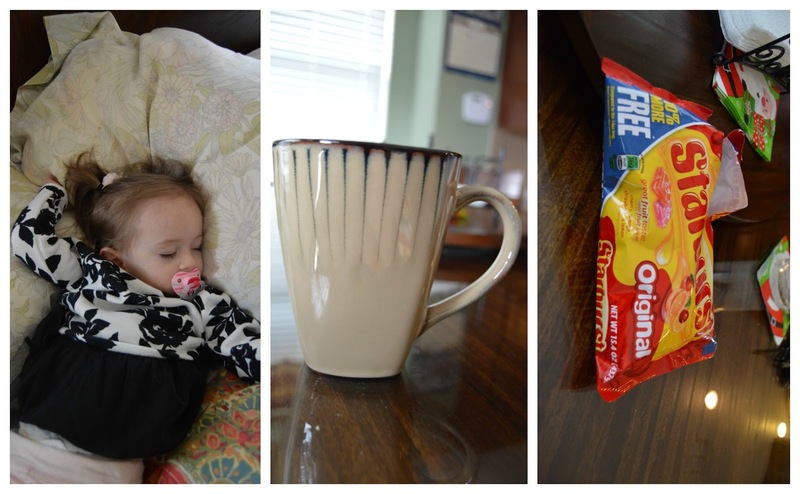 We change diaper and grab a cup of milk which she happily drinks in Mommy’s room while I finish up the blog! At 8:20 I make Hallie some breakfast. Eggs and Cantaloupe. Then I hit the showers while Hallie eats and watches “Pat Pat” AKA Little Einstein’s! At 8:45 I am out of the shower and notice Hal is slowly eating. I pack the diaper bag, do some dishes, and get our Waters (with lemon per Hal’s request) ready for the day! Ballet class is from 10-10:45. Hallie picks a yellow spot to stand on and enjoys boogieing with her pals! At the end of class the kids all get stickers…mine waits around for a stamp like she got last week…creature of habit gets the teacher to cave and give her a stamp two stamps! We are home for class around 11:15. I make lunch while Hallie plays. Hallie eats Peanut Butter Sandwich, Blackberries and Green Bean chips and Mommy scarfs down a lean pocket. 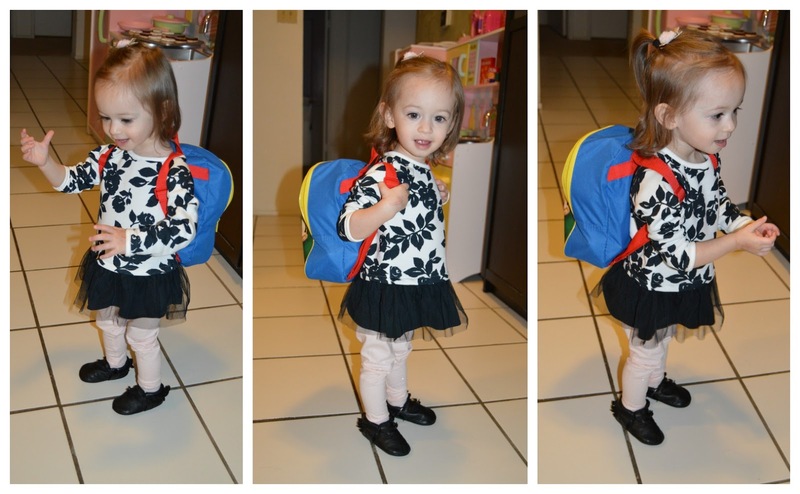 After Lunch around 11:45, Hallie packs her backpack to take to Nana’s house and to work for the afternoon. When we get to Nana’s house, Hallie is asleep. We let her rest while we chat. I make myself a cup of coffee and my Mom pulls out the Starburst. Hallie is awake by 12:45. She gives Nana plenty of snuggles and we play until it’s time to go pick up Cleo and Sadie. Cleo gets out of school at 2:35 and Sadie at 3:05. We are all home by 3:10. The girls get their homework done and Hallie sneaks in some snuggles from them! They eat snacks. Hallie helps Cleo study for her tests! When the girls are done with homework, they retire to their rooms to relax and get ready for their afternoon activities. After dropping Cleo off at Girl Scouts, Hallie and I head home. I immediately change to my sweats and Hallie plays and snuggles in for some more “Pat Pat” while I make dinner. Cauliflower fried rice! Daddy is home about 8:20, and Hallie hides under the covers from him so he will have to come and find her! He eats dinner and she plays while we wait for him to finish so that we can do her bedtime routine as a family. 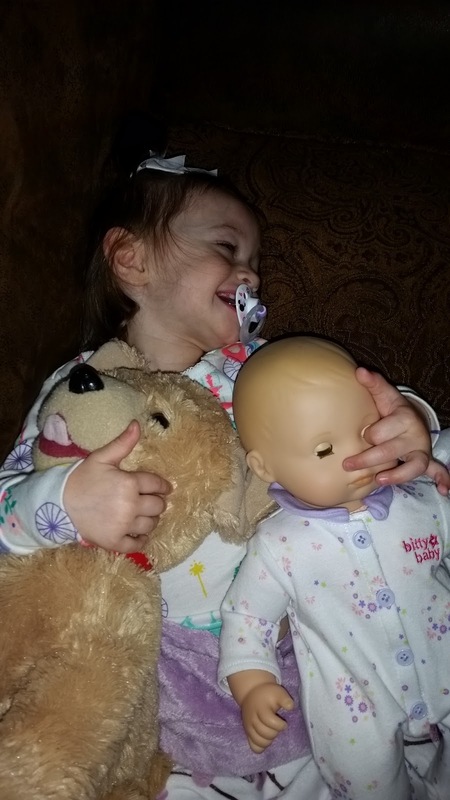 Around 8:35, Hallie puts her baby “night night” in her cradle, sings a toddler rendition of “Let it Go” and then picks a book for Mommy to read. Tonight it is Alice the Fairy. We snuggle and read. Then Daddy says our family prayers and we both kiss Hallie goodnight! When Hal goes to bed we of course break out the Dessert (Cookie Dough) and watch some American Idol. I am totally passed out on the couch by 10pm and stumble back to the bed around 11:30! So that’s our day! What is a normal day for you like? I think everyone I know has an Amazon Wish list. I myself have one. But If I had my way, I would totally make my Etsy Wishlist accessible to anyone interested in purchasing me a gift because I am a sucker for homemade personalized items! Here are some of my favorites! 1. Personalized Stationary from Curio Press- I bought some for my Dad for Christmas and was super jealous! Too bad I couldn’t pull a last minute switcharoo because they were monogramed with his initials! Ha! 2. Gilmore Girls Pencil Set from Life is Rosier- Any Gilmore Girls fan would love this set, and I think it would go perfect with that stationary! 3. Let’s Cuddle Pillow from Parris Chic Boutique– I think this pillow would go great on this chair that I am buying for myself! 4. This Throw From Pam E Decor- Which would also go nicely on that chair! 6. 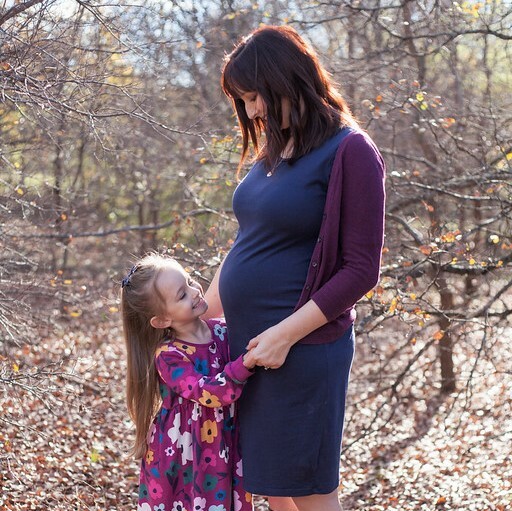 Mommy and Me Scarfs from Coral and Poppy– This color and pattern is too cute and would match anything! 7. Donut Tank from Plum USA- Really anything Donut! I love donuts! 8. Dessert Plate from Ceraminic- It matches our kitchen AMAZINGLY and I love having mismatched dessert plates! 9. Donut and Coffee Tea Towel From Kakabaka– I know I talked about this one yesterday but it might be of my faves! Too too cute and tea towels are kind of my latest obsession! 10. Boot socks from Eye Candie Plus- Got to have a great pair of boot socks with great boots, and my new Michael Kors boots Christopher ordered me for Christmas should be here this week! 11. Sassy Coffee mug from Joyful Moose- Oh this is so me! Definitely bring on ALL the coffee! 12. Donut mug from Brush and Bow– Again with the donuts and coffee! 13. Milk and Cookie tea Towel deom Kakabaka– Another I shared yesterday but what can I say, it is just too cute! 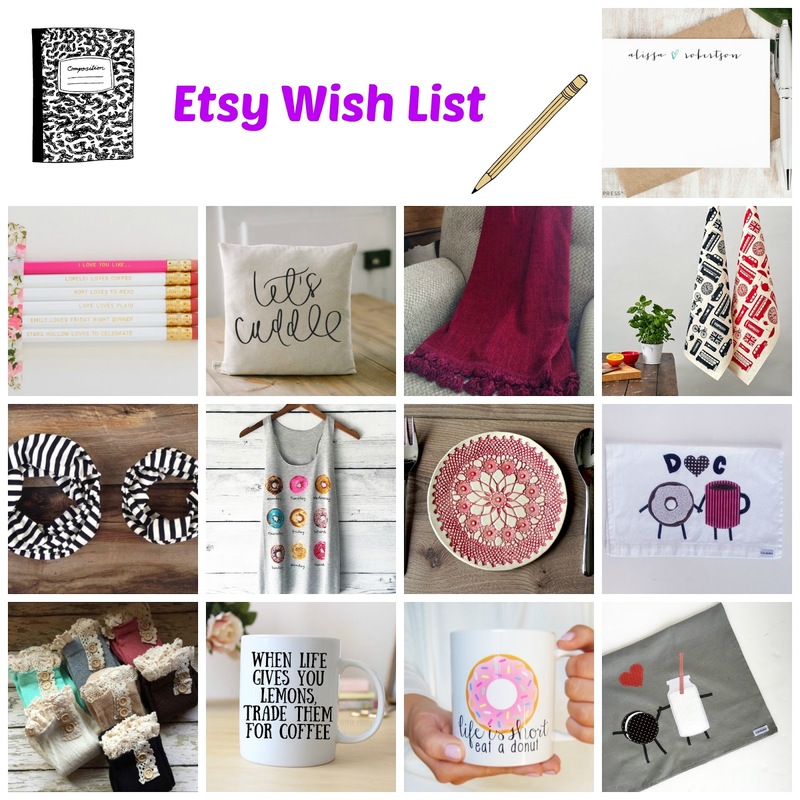 What’s on your Etsy Wish List? 1.The Carters Pajamas are some of my favorite on Hallie! We love this set! It comes with 4 mix and match pieces and of course they are Daddy’s Favorite of all of Hallie’s Pajamas! 2. 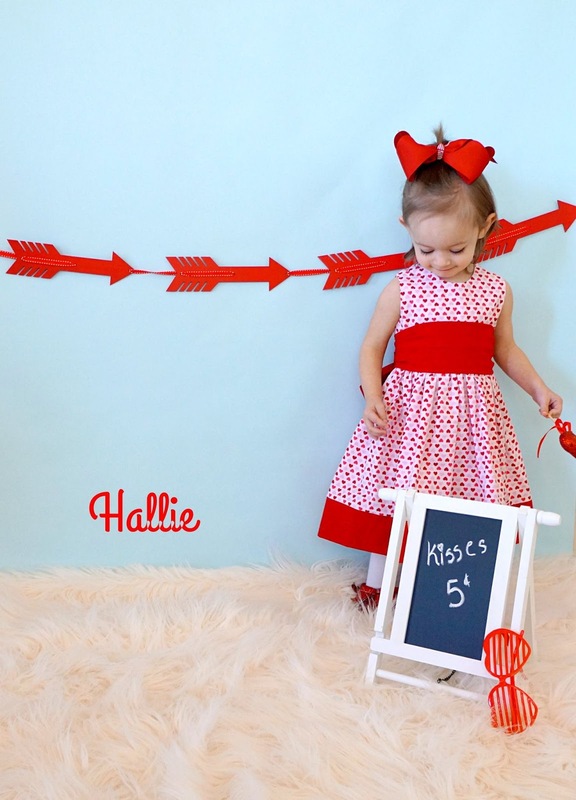 This Valentine Dress is gorgeous! 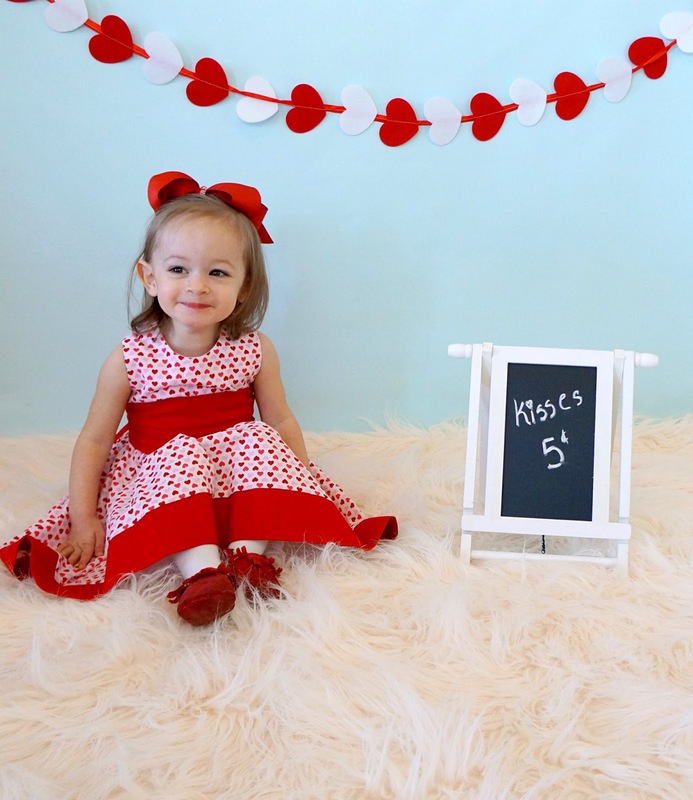 I can’t wait for Hallie’s Valentine photos! 3. It wouldn’t be a Holiday without matching Moccs! Love our No Place Like Home moccs! 4-7 These are our VERY favorite Valentine books!!! 8 and 10. I am LOVING this shops tea towels! 9. These Crate and Barrel Dessert plates are the cutest! 11. I always LOVE me a good mug! 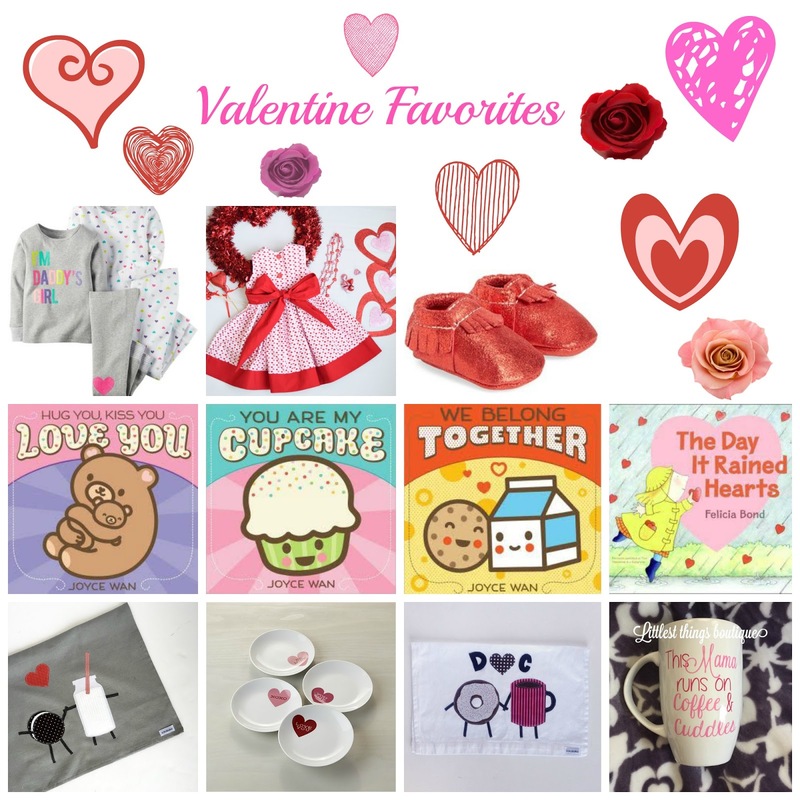 What are your Valentine Faves? Cooking up Something Special in her Kitchen! 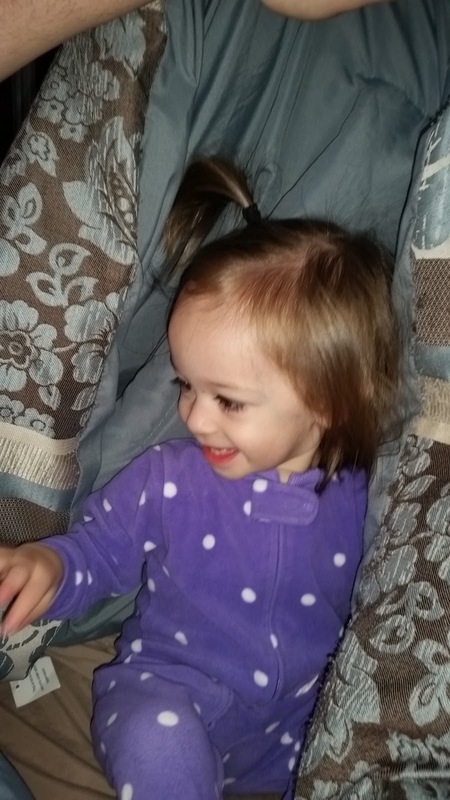 Making Tents with Daddy before work Sunday Morning! 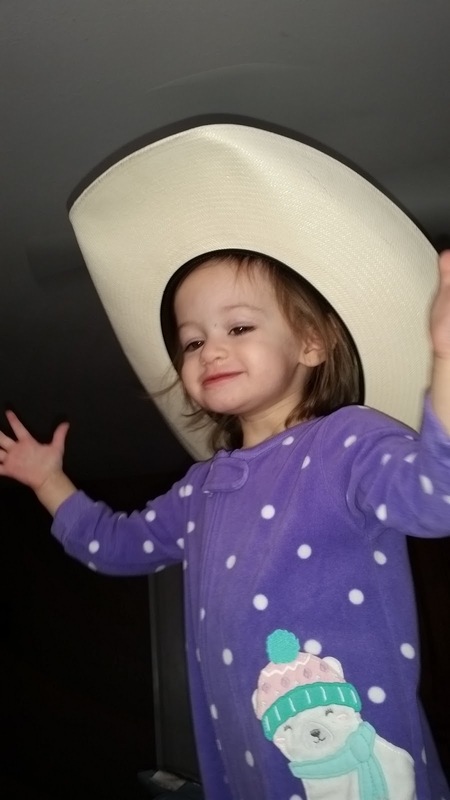 She wont wear anything but Moccs in her size….but LOVES everyone else’s shoes! Hi friends! I am so happy that it is Friday again! This week seemed long! I am looking forward to some laziness this weekend! We’ve had a busy week! Hope everyone else had a great one! 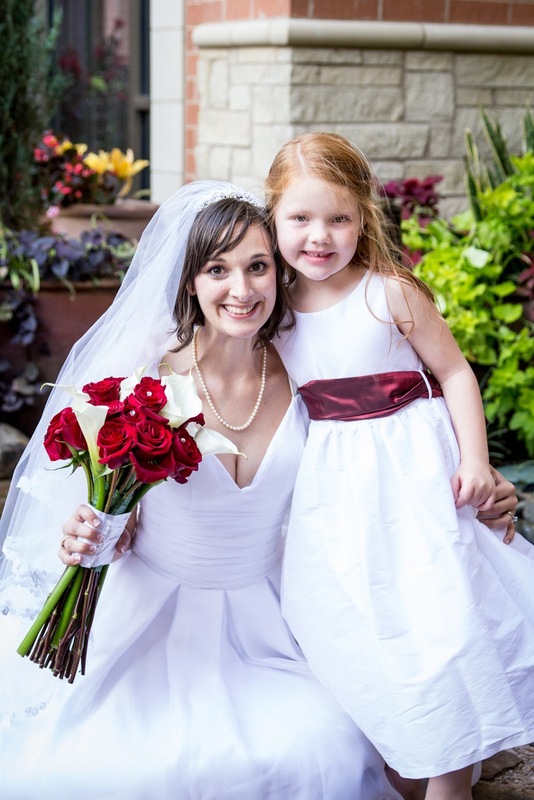 Enjoy some of our photos from the week and have a great weekend! 1.) If the crown fits! 3.) 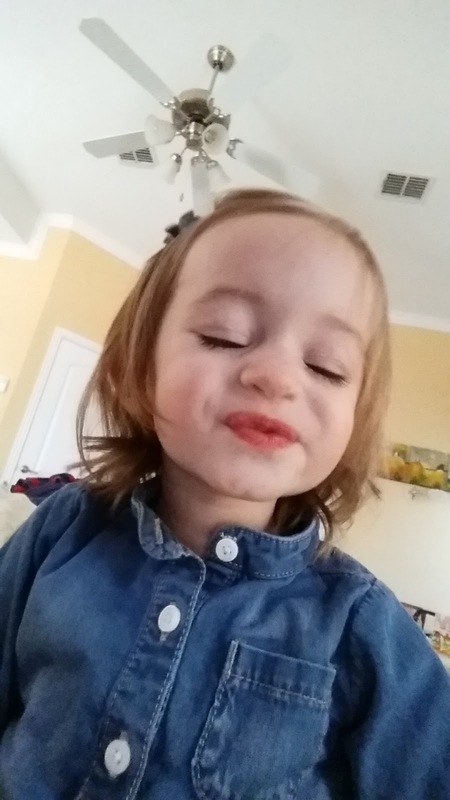 Hallie has mastered her Selfie Face! 4.) In case you missed it, I talked all about this dollhouse and how special it is! 5.) Also in case you missed it Hallie started ballet class this week!